Let suppose we have an eshop with two languages (e.g. 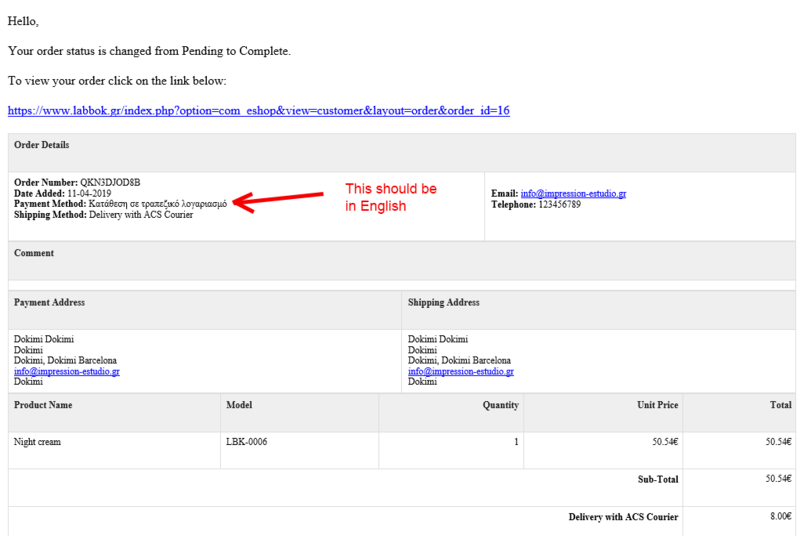 English and Greek) and the client makes an order using the English language. The first notification email comes to the client completely correct. But if the admin change the status using the Greek language in the administration, then the notification email that is sent to the client has the payment method in Greek and not English.